Pipedrive famously managed to grow the business to 30,000+ paying customers, serviced by a team of more than 160 people spread across Tallinn and an office in New York. All this without having a dedicated Pipedrive sales team from day one, but rather heavily focusing on product development and marketing. Pipedrive recently decided to put together a sales team in order to convert more leads and drive more revenue. In order to do this they mainly relied on 2 services: Pipedrive and Aircall. We had the pleasure to chat with Daniel Galvin Pipedrive’s Head of Sales and Support who revealed for us some behind-the-scenes strategies the company used in order to successfully organize and scale the sales team. The need for a sales team arrived when Pipedrive realized that there was an entire segment of the population that didn’t upgrade at the end of the 30-day trial period. These potential customers actually didn’t know what to do or how to use the product after signing up, didn’t talk to anybody and finally gave up pretty quickly. This was a huge growth opportunity and the team decided to act on it: the sales team was created. It answered a very well-defined need: help onboard the “lost-in-translation” clients. The Pipedrive sales team sells in over 140 countries and knew they needed support in some areas with the sales team: in the US – one of largest, largest markets, Europe – their historical base, and Latin America (Brazil especially) – where they experience good organic growth. The goal of the sales team is to be consultative, with a focus on a real quick sales process. In other words provide information in order to convert at a higher rate. Yet based on the price point – 12$ or 9€/month – the company knew that an hour-long demo with a lot of follow-ups was not doable. The return on the investment was going to be too low. Moreover, there wasn’t any guarantee that anybody who signed up was going to eventually stick around. The growth strategy was all about the ROI. Wait, but how did they do it? People in the first category usually have strong expectations from a CRM which the company needed to understand in a detailed way. People in the second category are the segment who need education in order to take advantage of the most valuable features Pipedrive has to offer. Yet, these clients were the ones who didn’t spontaneously interact with anybody. The team needed a way to reach them, so they decided to simply call potential clients, using Aircall. 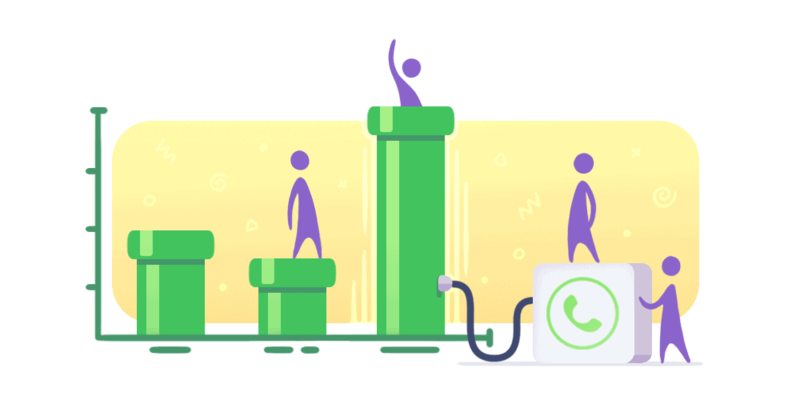 Aircall is the second tool (after their own software) that the Pipedrive sales teams use heavily. Aircall’s direct integration with Pipedrive comes in handy at this point and makes the set-up, monitoring follow-up a piece of cake. As every fast-paced team, the sales people needed an easy-to-onboard product they could start using right away. They also needed something that would bring value to the table. Aircall is pretty intuitive and self-explanatory so there was no need for training nor education, and the team begun being operational early on. This was a big plus business-side. With Aircall, the company allows people from Europe to call the US and vice-versa without using different tools for each one of the teams. The Pipedrive sales team easily tracks key metrics with Aircall which helps them understand what strategy is going well or not, what needs improvement, etc, all within the same tool. From a cost point of view it works within Pipedrive’s actual model. As the sales teams are fairly recent, the company needed the flexibility Aircall provides in order to iterate, install one program and use it.